The topic for this month's Paperwings Blog Hop is Masculine. 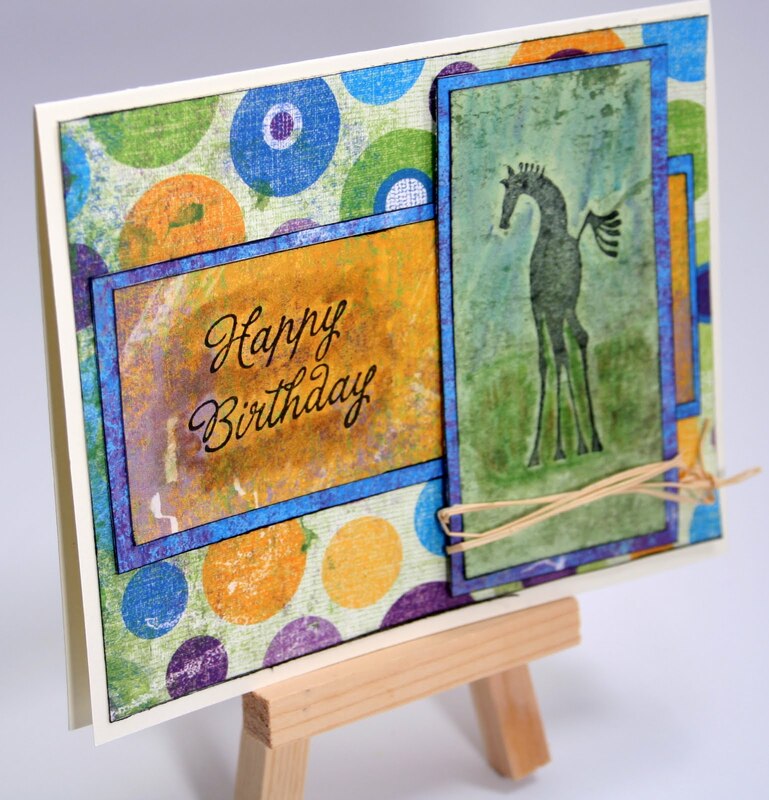 Heiroglyphic Horses is the perfect set for a guy's card! Here I paired it with TAC's Hip Hop paper collection. The Happy Birthday greeting is from Trendy Greetings. Be sure to check out all of the other Masculine cards - here is the list of all the participants! All blogs should be updated by 8:00 pm on Sunday May 16! One of my all time favorite sets, Rita! Great card - love the jute, it's a perfect touch! Oh wow - love the colors on this! Nicely done! Great job Rita! Love how you used the PP! Wow the HipHop looks great with this - great job. Love this set, one of my favs. Love how colorful this card is! Great job! I would have never thought of using this paper with the horse! Very cool! love this card!!!!! would have never thought to use Hip Hop w/ this set! Great outside the box thinking! Wonderful masculine card... Great use of Hip Hop! fabulous card! love the pairing of that paper with that set - stunning!